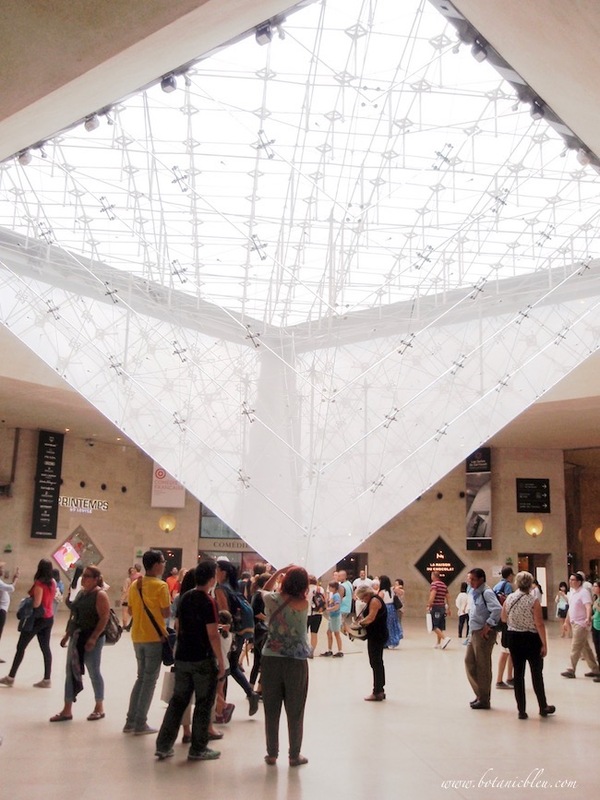 A visit to the Louvre in Paris, France is filled with light from glass pyramids that were controversial when the Louvre's total remodel and reorganization began in the 1980s. Now the pyramids are recognized as beautiful landmarks to the former Royal Palace, the Musée du Louvre. Travel plans are often part of the upcoming Christmas season with most holiday travel destinations to homes of family members. However, there is a growing trend for families to travel to holiday destinations for new experiences together in place of exchanging traditional Christmas gifts. Instead of spending money on things, people are choosing to spend money on traveling together. Plus some travel is a surprise Christmas gift from a husband, a wife, or parents. Wouldn't you love to receive plane tickets and hotel reservations to your dream destination? Could it be P A R I S is your ultimate dream destination? If you are lucky enough to travel to Paris, France . . . at anytime of the year, not just at Christmas . 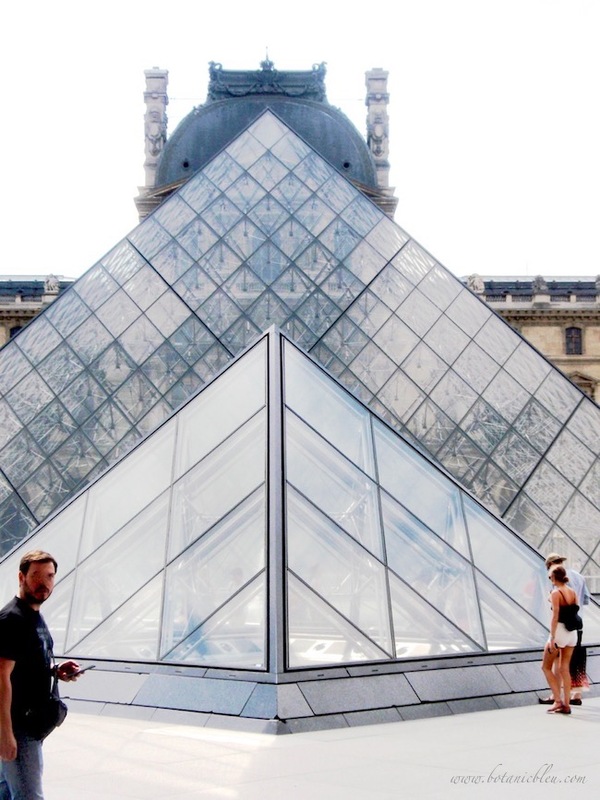 . . be sure to visit the Louvre Museum with its glass pyramids. The Louvre is the largest museum in the world, is recognized as one of the handful of major museums in the world, and houses masterpieces from all over the world. And the museum's architecture is worth the visit alone. . . Both the old-world palace and the modern-age glass pyramids. The ornate, opulent palace of French royalty from the 1200s became a place to display the royal collections when Louis XIV moved the royal residence to the Versailles Palace in the 1680s. Grand hallways and former magnificent living quarters in the Louvre feature ceilings with majestic scenes. When you go to the Louvre remember to look up. The glass pyramids are in stark contrast with the classic French Renaissance style of the palace-turned-museum. The large pyramid in the courtyard of the Louvre is the main entrance to the museum. Visitors descend a large spiral staircase to a spacious underground entrance filled with light from the glass pyramids in the courtyard above. There is also a circular elevator located in the central space of the grand spiral staircase. Prior to the 1980s renovation the museum entrance was a doorway on a side street along the Louvre, and the courtyard of the u-shaped museum included a green park and public roadways. The pyramid entrance was the solution for moving 8.1 million yearly visitors (in 2017) into the museum. Yes, the lines to enter the Louvre during peak season are long and wind around the pedestrian paved courtyard. I have a couple of tips later in this post about how to avoid those long lines. The previous green park courtyard is now a paved pedestrian park closed to traffic and has the large entrance pyramid, three smaller pyramids, and fountains. The three small glass pyramids are sources of natural daylight for the underground areas of the museum entrance, hallways connecting the three main areas of the museum, a collection of restaurants, and shopping areas. A large inverted glass pyramid floods the underground shopping arcade of the Louvre with natural daylight. At night the floodlights around the perimeter of the inverted pyramid provide light. The Louvre renovations in the 1980s not only called for a new large underground entrance, they also called for Le Carrousel du Louvre, an area filled with restaurants, shops, and services for the convenience of the masses of visitors, without having to enter the actual Louvre Museum. Do you see the lighted sign on the wall for Printemps, a well-known Paris department store? Le Carrousel du Louvre is open 7 days a week, 10 a.m. - 8 p.m., except Tuesdays, 11:00 a.m. - 7:00 p.m., including public holidays. 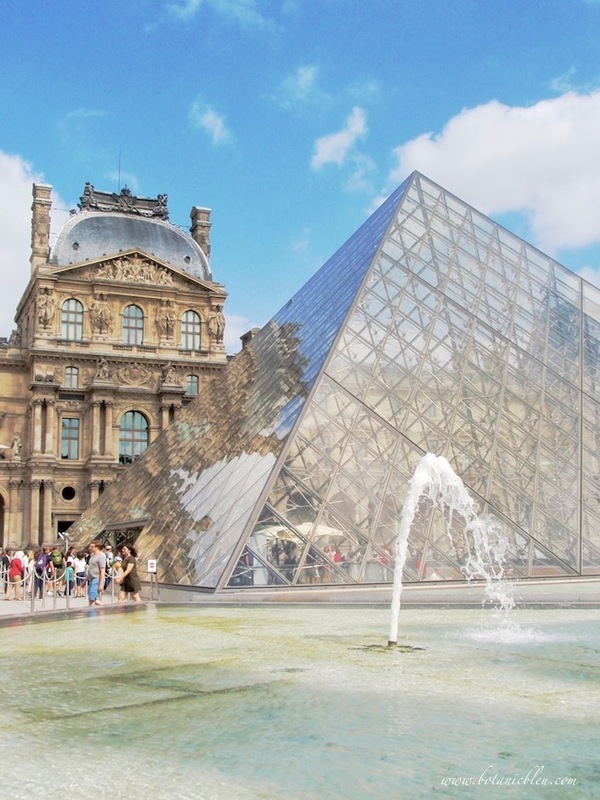 Which means you can access all of Le Carrousel du Louvre even if you do not have a ticket to the Louvre Museum or even when the Louvre Museum is closed. In addition to shops and restaurants, there are public restrooms, ATM machines, a Louvre ticket office, and a Bureau de Change for exchanging foreign currency. One stop shopping for a weary traveler! One of the three Official Tourist Offices in Paris is located in Le Carrousel du Louvre, but may only provide information, no ticket purchases found at the other two Paris Official Tourist Offices. 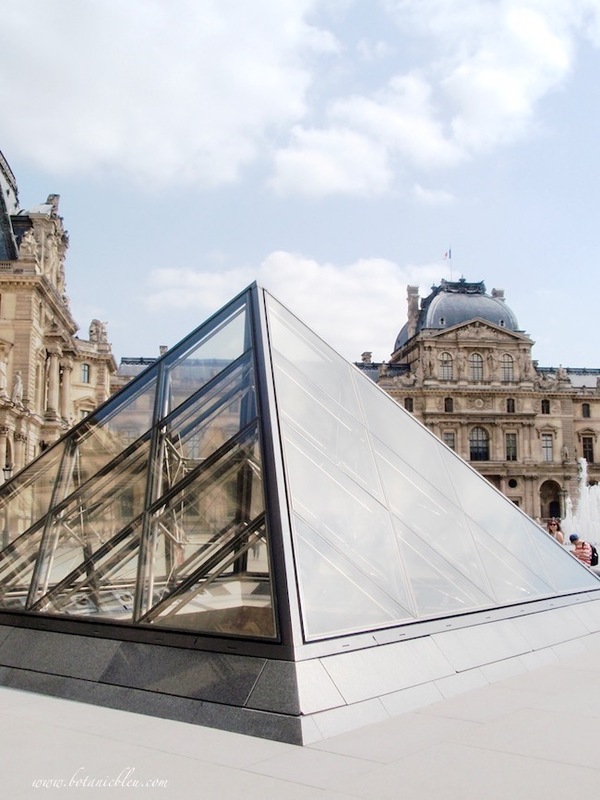 Enter Le Carrousel du Louvre, walk past all the shops, and go to the inverted glass pyramid area where you can enter the Louvre with a pre-purchased ticket or buy a ticket at the Louvre ticket office. The metro stop for the Louvre is the Palais-Royale Musée du Louvre on Lines 1 and 7. The stop is an underground entrance to the Louvre through Le Carrousel du Louvre. Or, you can take the Rue de Rivoli metro stop on Line 1. The metro exit is on Rue de Rivoli near the Tuileries Garden. Walk along the sidewalk toward the Louvre and enter Le Carrousel du Louvre from a door on the north side of the Louvre. Take two flights of stairs (or escalators) down to Le Carrousel du Louvre and go to the inverted pyramid as described previously. The Rue de Rivoli entrance to Le Carrousel du Louvre is near this passageway to the paved pedestrian courtyard with its glass pyramids and fountains. The entrance to Le Carrousel du Louvre is clearly marked with a banner and a sign on the cover over the entrance. Buy tickets to the Paris monuments and museums you want to visit in advance of your trip. 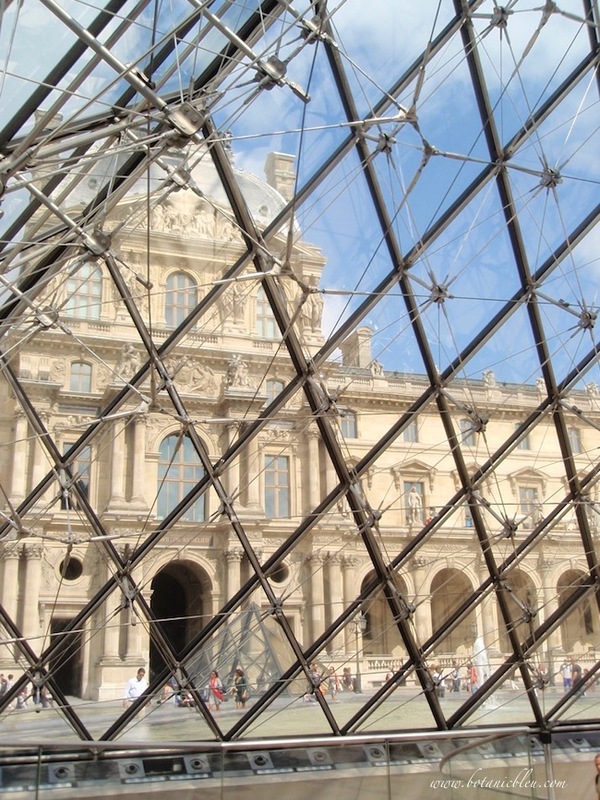 If you plan to visit several sites, you may find a Paris Museum Pass is your best buy. There are 3 options based on the number of days for which the pass is good. One of the selling points of the Pass is being able to enter the sites using the special line for people with tickets. Check the entrance prices for all the sites you plan to visit, and calculate the total cost. Compare the total cost of all those sites to the cost of the Paris Museum Pass. You may have a better deal by buying only tickets you need instead of the Paris Museum Pass. In this era of online sales, you may be able to buy all your individual tickets online. 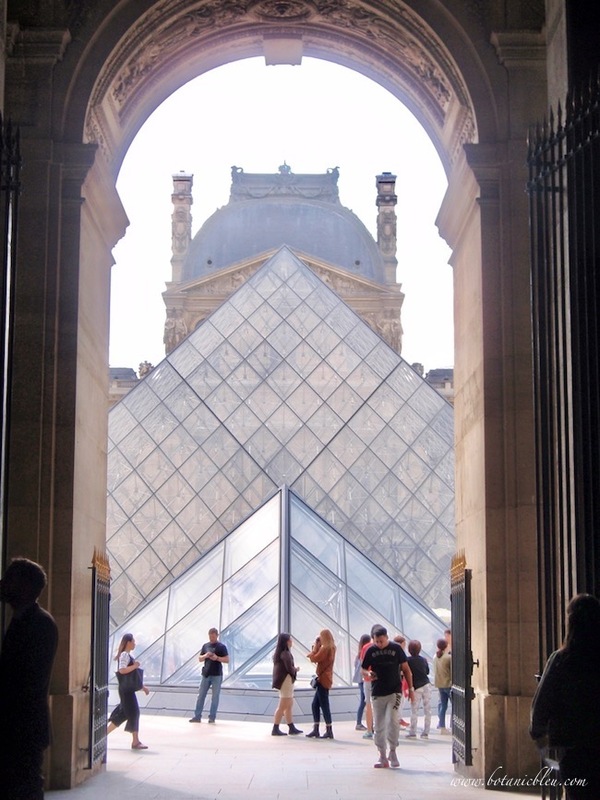 If you enter the Louvre at one of the alternative entrances instead of the main glass pyramid entrance, be sure you do not forget to take a few minutes to look at the pyramids from both outside and inside the Louvre. Psst... you may want to write Santa a letter asking for a trip this Christmas to your dream destination. This post is one in a series of A Moment in France posts where I share my personal experiences and photographs of my travels to France. You may enjoy reading other posts about France also. Click on the image to find links to more than thirty more moments in France. and is good to you this year. 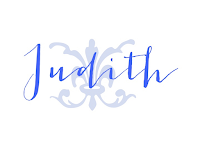 Such an informative post, Judith! It is a huge area and I don't think we saw the shops underneath. We have traveled to Paris five times but visited the Louvre once. It was so crowded we have not been back. Maybe next time we will revisit. Paris is a special place and always delights. 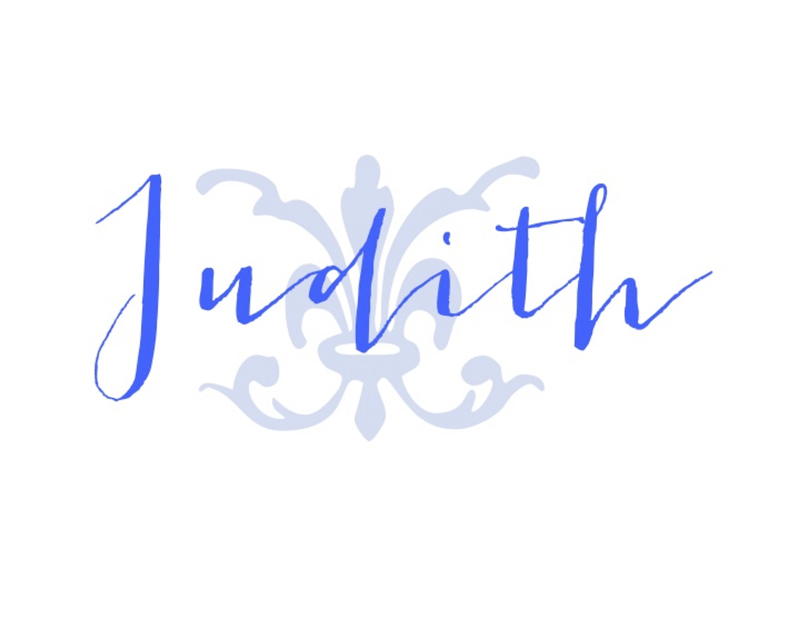 Judith, your photos are gorgeous! The Louvre is on my bucket list! I've always wanted to go and am hoping the hubster and I can make that happen before too long! Also, thanks for the information on the ticket lines. Nothing spoils your fun like have to wait for hours to enter a place you have been waiting years to visit! Love and hugs! A trip to France, that would be a great Christmas present! Thank you for all the great tips for whenever I do manage to go. I wish they hadn't added the modern architecture though. I love to see historical buildings preserved in the style they were built in. I don't think even Santa would get me out of the good ole' USA, but I DO have a wardian case made like the glass pyramid. I change the goodies displayed each season. At this moment, it has a couple of cute squirrels surrounded by acorns! It's an old Dean Griff figurine. Blessings to you, and happy Thanksgiving!